We know that coaches and athletic directors hold positions of great trust. They work with student-athletes on the playing field and serve as role models to young people. They ensure that students get to their activities safely, and may be the first to respond when students get hurt on the field or when a student claims that he or she has been hazed or harassed. They manage student (and parent) expectations, and may wrestle with sensitive issues that can arise when dealing with booster groups. 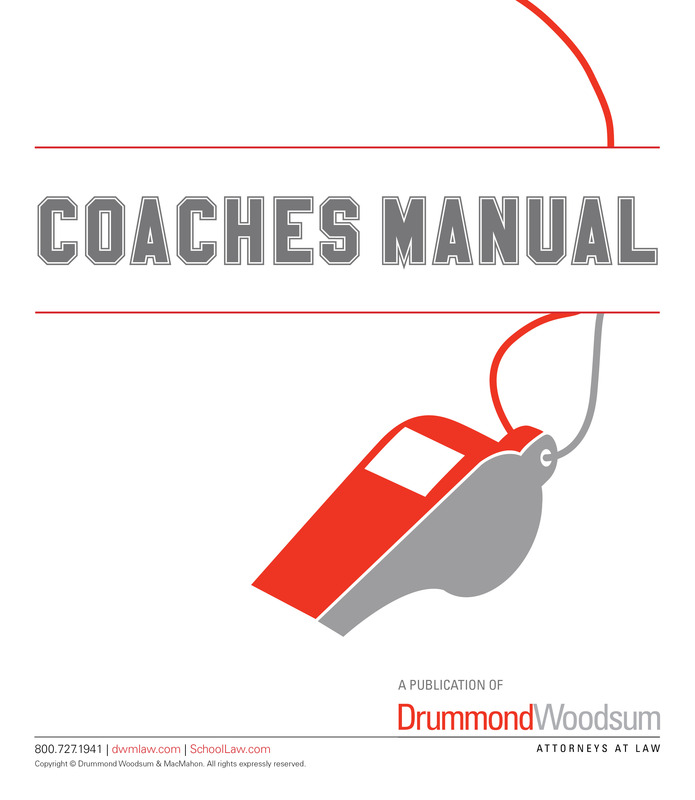 We have created this Manual to collect the information that we think coaches and athletic directors need to have at their fingertips whether at their desk, on the field or on the bus. The Manual incudes an overview of the various state and federal laws that affect athletics, materials relating to students, materials addressing staff conduct and community relations, and guidelines for athletic handbooks and several useful forms.